Step Into Your Destiny in 2017! Do you ever get the feeling that there is an unsung song inside of you…a calling and a soul potential that is uniquely yours? If so, then you are an awakening woman who probably not only senses that the world is at a turning point, but that there is a profound and meaningful role for you to play in shaping our collective future—and you are right! However, like many awakening women, you may also feel overwhelmed by this calling and uncertain about the steps you need to take to realize your full potential so you can play that vital role. I also suspect you’re experiencing a confusing and frustrating gap between the rich possibilities you sense for your life and what you have thus far been able to manifest in your outer reality. If you’re having any of these experiences or yearnings, the good news is that you’re not alone. Most awakening women are feeling this way. It was certainly my own personal experience before I discovered how to access Feminine Power, and I’ve seen it firsthand in the thousands of women I’ve worked with since. Why is it that—in spite of all our accomplishments and years of personal and spiritual growth work—we haven’t been able to access the power we need to truly flourish and thrive in life? We have not yet awakened to the kind of power we need to create those things we most deeply yearn for. The fact that we’re still struggling to have vibrant relationships and create meaningful, inspired lives is not a personal failure. It’s actually a collective problem we’re facing together, symptomatic of the larger evolutionary story we are living as women born at an extraordinary and pivotal time in human history. The restlessness we’re feeling is a critical calling—a compelling impulse that is urging us to evolve the ways in which we have been trying to access the power we need to begin living the lives we intuitively sense we were born to live. The power we’ve been mastering for the last 50 years has been a masculine version of power. This masculine power system has given us the miracles of science and the marvels of industry. It has enabled us to create an unprecedented standard of living and have opportunities beyond our grandmothers’ wildest dreams. It was a brilliant strategy for us to collectively take on mastering the masculine power system some 50 years ago, to level the playing field between men and women and emancipate ourselves from the tyranny of oppression. Though there is still a long way to go, especially on a global scale, we have become the most autonomous, free, independent, educated, and powerful generation of women in recorded history. In fact, the yearnings we have for self-expression, spiritual partnership, creativity and contribution are high quality problems we’re now navigating as a result of our unprecedented success at mastering power in the masculine. It’s an odd paradox that the kind of power that has brought us to this point is not the power that we now need to move forward. Indeed, if we look at what’s missing from our lives and from our world, we can see that the things we most deeply desire—such as love, intimacy, connection, belonging, creativity, self-expression, aliveness, meaning, purpose, contribution, and a brighter future for generations to come—can’t be created with a system of power based on control, analysis, and logical, linear thinking. Nor can they be executed with a strategic plan. To create these things we most deeply long for—to produce a rich outer life that does not necessitate the loss of inner connection—we need to cultivate a new system of power, a Feminine Power. While many people are speaking about a return of the feminine, it is both a return and an evolution of the feminine that holds the key to our personal power and planetary transformation. The feminine of our recent and ancient past, however healing and nourishing, is insufficient to empower us to create those things that are critical for our personal and collective future. For the feminine to become a source of power from which we can create the future of our lives and the future of our world, it needs to be consciously evolved through us. We need to awaken and cultivate a new, co-creative, Feminine Power that integrates and includes all the gains of masculine power, giving us access to a kind of co-creativity we’ve never seen in our recorded history. Most of us have had few or no models for this kind of Feminine Power and have no idea where to start to begin to cultivate it. How Do We Source Feminine Power? In our pioneering work with thousands of women, we’ve discovered and developed the specific principles, practices and tools that awaken Feminine Power. The source of authentic power to bring forth your best life, express the fullness of your creativity, and have the biggest impact in the world is within you—just waiting to be awakened and unleashed. 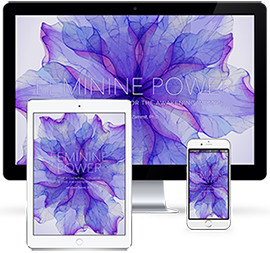 Join us for our 7-Week Online Course, Feminine Power: The Essential Course for the Awakening Woman, where we’ll guide you step-by-step through the process of unleashing the power to change your life, realize your destiny, and transform the world! Click the play button below to hear from some course graduates. Understand your own personal journey inside of our larger, collective story of human becoming, to make new sense of your own lived experience. Discover the source of Feminine Power within yourself, and begin accessing the power you need to realize your highest flourishing and thriving in every area of your life. Master and embody the 3 Power Centers of Feminine Power so that you can live your most deeply fulfilled and wildly inspired life. Learn to transform your limiting beliefs at their core and finally be liberated from the tenacious tyranny of the past, becoming free to unleash your highest potentials in life, love and livelihood. Discover your true and impassioned purpose in life and begin magically manifesting all the support you need to fulfill it. Understand the keys to creating ecstatic intimacy and wellbeing in all of your relationships, and begin living in a continual state of connection and communion with those you love. Embody your authentic feminine radiance as a celebration and affirmation of life, and effortlessly begin attracting those things that make life worth living—such as authentic love, community, and a deep sense of belonging to something greater than yourself. Learn to co-create with a dynamically alive field of life filled with possibilities, magic and miracles, and restore a sense of creativity, eros and playfulness to your everyday experience. Awaken to yourself as a dynamic, inspired agent of change and learn how to powerfully co-create the future of our world in a way that is uniquely yours to offer. In this brand new, self-paced digital edition of our acclaimed course, you will have access to the downloadable course modules with Claire and you can listen at a time the suits your schedule. We’ll be sharing a learning guide with an overview and recommend listening pace to experience the course in an optimal way. You’ll discover the principles and practices of Feminine Power teachings including the keys to Power Centers 1, 2 and 3. Each week of the program is designed to guide you, step-by-step into awakening the fullness of your co-creative Feminine Power. In these rich sessions, Claire dialogues with women from all corners of the globe, discussing the Feminine Power principles as they apply to one’s own unique personal life situation and experience. In these audios, she answers the most common questions about each Training Modules to support you in integrating your learning at an even deeper level. Many participants report that these Q&A Sessions are an incredibly valuable tool. Engage online with other course participants in this supportive Feminine Power learning community. As you go through the course, you will be able to gather and connect with other women online to share your breakthroughs and insights, and support each other in deepening into the principles and teachings. Through this collective engagement, you will experience the power that comes through doing deeply transformative work in community. PDF transcripts are a great resource to go back to and quickly reference key concepts and answers to questions as you step fully into the Feminine Power teachings and principles. Each Training Module is accompanied by a set of Guided Practice and Reflection Questions designed to complement your learning and to support you in truly engaging and integrating this process. Each set of questions can be downloaded for your use along with the audio recordings and the transcripts. It’s More Than a Course—It’s a Global Learning Community! When you join our 7-Week Course, you’ll become part of a rich, vibrant community of individuals and a global network of over 13,000 graduates just like you who are seeking to connect with like-minded souls on an evolutionary path. In addition to the weekly calls, you’ll participate in a private online social network created exclusively for the participants in this course. As a part of each week’s curriculum, you’ll be given exercises for contemplation and reflection, and invited to post your responses on the forum. You’ll also be invited to respond in specific ways to the reflections of others, as a way of building the support and connectivity that is such a vital part of the transformative process. Our Feminine Power Team will be actively involved in making sure the community experience remains true to the spirit and goals of the course. When Feminine Power first began, it was originally taught as a live three-day intensive in Los Angeles. Women would fly in from all over the world, spending thousands of dollars in airfare, hotel and conference fees to work with Claire and learn some of the specific skills she’ll be teaching you in this 7-week online course (along with many more). These women shared with us again and again that the money they’d spent on those conferences was the best investment they’d ever made in their growth and development. Now, thanks to the modern world of online learning and to Evolving Wisdom, the company producing the Feminine Power program, we’re grateful to be able to offer the entire course at a price that will hopefully make it affordable for everyone. So, for the entire course—the training modules, the group coaching calls, the online forum and networks, the guest faculty workshops, the weekly practices, and support from our certified Feminine Power coaches who are going to be online answering your questions, as little as 3 monthly payments of $147. And the best part is that you’ll be able to fully participate in every aspect of the course right from the comfort of your own home, for as little as 3 payments of $147. To help you move beyond the reach of those fears, we’ve brought in bestselling author Elizabeth Gilbert, who will be sharing powerful insights she has gleaned from her own creative process and practice, and from her brand new book, Big Magic! She captured the hearts of millions of readers with her bestselling book, Eat Pray Love, and in her new memoir, she has crafted her own experience into a compelling story that has inspired imaginations around the world. If you’re a woman who wants to impact others with your creative gifts and talents, don’t miss your session with this extraordinary Feminine Power guest mentor! How to develop the attitudes, approaches and habits that will enable you to live your most creative life, and to bring forth the gifts that are wanting to be born through you. Iyanla Vanzant is the star of The Oprah Winfrey Network’s award-winning series “Iyanla: Fix My Life,” and a popular regular teacher on “Oprah’s Lifeclass.” She is a mother, survivor, prominent spiritual life coach, empowerment orator, minister, and New York Times best-selling author whose focus on faith, personal development and loving relationships has captivated and inspired audiences around the world. When it finally happens for you, it will be the moment when your external reality begins to mirror your internal world. There are important mindsets, critical steps, and proven methods for building a fail-proof foundation for your future, and Ali knows all of them, because that’s how she got to where she is in her life! Ali will show you how to zero in on your options based on what you know you are meant to do with your life, and she’ll give you a road map for generating an income that supports the highest version of who you truly are. She’ll also show you how to nurture yourself financially, spiritually and personally, so you can live every single day on your own terms instead of someone else’s! Do you feel confident and empowered in your relationship with money and wealth? Do you feel that that pursuing wealth is “unladylike,” and even “unspiritual” ? And although you might be aware of the tremendous value you would bring to your various pursuits, when you stand (or imagine yourself standing) to ask for compensation commensurate with my contribution, do you ever feel paralyzed by guilt and shame? This is a problem if you’re up to something big in the world! And especially if you have your own business or are wanting to move in that direction. By desiring financial compensation and wealth in our lives, Claire has seen firsthand in coaching and mentoring thousands of women (and from experiencing this herself) that we can fear we have overstepped our bounds or acted in a way that may betray or conflict with our higher purpose, our spiritual values and our desire to be of service to others. And yet, the truth is that life requires money in order to create and cause the impact we intend to have in our world. You must be able to nurture and support yourself, as well as those dearest to you, and generate the resources you need to thrive. To truly live your larger destiny and make your contribution to the future of our world, in fact, you will need to evolve your relationship with money and cultivate an authentic “wealth identity” that enables you to create a prosperous thriving life and career. During this audio seminar you will engage the step-by-step process of transforming your “wealth identity,” enabling you to more easily generate the resources necessary to unlock your greatness—in the specific ways that work best for conscious women. You’ll uncover and release the core hidden beliefs that hold you back from true prosperity, so that you can manifest the money, support, and true wealth you need to live your greatest vision—and elevate your family, friends and community to their potentials as well. When Claire made these *exact* same shifts herself that she is going to guide you to make, her income expanded 10 times over and her impact 1000 times over! This is an extraordinary must-have collection of seminars created by Claire Zammit on how you can apply Feminine Power to the key areas that women struggle with most, such as as health, wealth, authentic confidence, self-love and more. This collection of seminars has only been available to exclusive members of a private graduate community paying $100 for each session. Gleaned from more than two decades of coaching hundreds of thousands of women, each one of these sessions will provide you with an overview of the underlying core challenges that awakening women face in each area, along with specialized tools and practices to fast-track a lasting breakthrough in 30 days. They will be a fantastic support personally as you participate in the 7 weeks of the course and are also an essential resource if you are a healer or coach who works with women. These sessions are usually available to ONLY the most advanced students, with access costing over $700. But with this special offer for participants of the upcoming Feminine Power 7 Week Course, they are our very special gift to you! Session #1: Extreme Self-Care as a Pathway to Greater Success in Your Life You know you need to make this your #1 priority and yet you find yourself giving to everyone else first and neglecting your own well-being: Why is this so and what can you do about it? In this session you’ll discover how to break through the root causes and patterns of self-neglect so you can achieve your ideal weight, health, vitality and more. Session #2: WEALTH – Breaking Through Hidden Barriers to Wealth: The Evolutionary Woman’s Guide to Prosperity Is money a source of fear, guilt & anxiety in your life, or does it fuel your experience of freedom and fulfillment? In this session you’ll uncover and release the core hidden beliefs that hold women back from true prosperity so that you can manifest the resources you need to live your greatest vision. Session #3: COMPLETIONS – Good Karma Power Practices – Forgiveness, Completion & Blessing. Discover the most powerful Feminine Power practices for clearing the residue from the past, in support of your energy being freed up to create the future. You’ll be guided to heal from loss, resolve conflicts, and release disappointment, fear and shame in ways that deepen and expand your creative power. Session #4: LOVE – “Unlocking the Power & Magic of Self-Love.” We’ve all heard the adage, “You’ve got to learn how to love yourself first”, to which most of us reply, “Thank you for sharing – but how?!? !” In this seminar you’ll discover the core shifts you need to make to firmly establish the foundations of a loving relationship with yourself, which will transform every other relationship in your life so that you can experience deeper love and satisfaction. (Hint: this has nothing to do with manicures and spa days – that’s self-care, which is important but doesn’t address the areas you must develop to have the love you’re seeking. Session #5: CONFIDENCE – Authentic Confidence: Discover the Tools to Release Fears and Self-Doubt & Cultivate an Unshakable Trust in Yourself Authentic confidence is sourced from an unshakable connection to your own innate value and a deep trust in the larger unfolding flow of life. During this session you’ll be guided to overcome the barriers most women have to finding their own confidence in ways that leave you feeling unself-conscious, natural and free to be who you truly are—brilliant and powerful. Session #6: SPIRIT – The Evolutionary Woman’s Path to Spiritual Practice How do I develop myself spiritually? Should I meditate? Journal? Do yoga? Pray? Reflect? We live in an age of cafeteria-style spirituality, where we’re all just doing a bit of this and a bit of that. But even with our best intentions, we have a nagging feeling that somehow there’s much greater depth we’re still unable to access. During this session you’ll discover the 4 pillars of powerful women’s spiritual practice that will catapult your evolution on the path to forging an unshakable bond with a higher power. Bonus guided practices included! Session #7: PURPOSE- Unlock Your Brilliance and Discover Your Highest Calling. Discover the difference between your higher purpose, vocation or career and your desires for fun, creativity, play, and self-expression, and by doing so tap into your own unique gifts and divine spark so that you can align with the highest purpose and calling for your life. Join Claire Zammit, founder and leader of the Feminine Power programs, and 21 of the most influential and inspiring women thought leaders, change agents and artists as they share their stories of how they created their own opportunities and developed authentic success on their own terms. They’ll share with you practical tools that will support you to step further out of the shadows and into your brilliance so that you can experience the authentic success, love, power, creativity and impact you were born for. We are gifting you with access to this incredible series so that you can discover the unprecedented opportunity available to you right now to experience a greater level of success, in each and every area of your life. Plus you’ll also understand what it means to be a woman on the edge of evolution, and how your full self-actualization is critical for the future of our world. 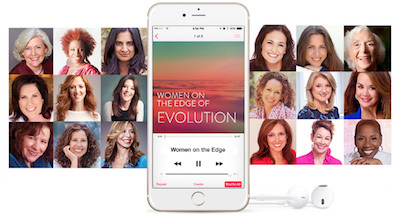 The series includes Marianne Williamson, Barbara Marx Hubbard, Alison Armstrong, Lynne Twist, Arianna Huffington, Christy Whitman, Lisa Nichols, Ali Brown, Iyanla Vanzant, Zhena Muzyka, Marci Shimoff, Lisa Garr, Bobbi DePorter, Arielle Ford, Carol Tuttle, Tera Warner, Mallika Chopra, Terri Britt, Vivian Glyck, Sandra Yancey, Jean Houston, as well as host Claire Zammit. Seminar #11: Bobbi DePorter – Education Visionary & Humanitarian Leading on the Edge of Evolution: You Don’t Need To Know Where You’re Going to Get There! Bonus Audio: Claire Zammit – Leader of the Feminine Power courses for women Ignite—Unleashing Your Creative Power! The Regular Price of all 5 of these Bonus Packages is $2,688. During this audio seminar, Claire will guide you to connect with your deepest desires and greatest vision for your life, as well as set an intention for what you most want to create by unleashing your Feminine Power. She’ll share the best tips on getting the most she’s discovered in mentoring over 13,000 women through the process of awakening their Feminine Power and you’ll also have the opportunity to introduce yourself and begin connecting with the other inspiring women in your community. As a group we’ll come together to make the core shift into creating your life with a Feminine system of power. You’ll also begin to connect with the extraordinary tribe of women who will you’ll be connecting with in your private Facebook group who will stand with you for your highest possibilities. These LIVE Group Coaching Calls are designed to support you to unlock the Three Power Centers of Feminine Power. Are you feeling called to Coach, Lead, Mentor & Serve Women at the Highest Level? By joining the Feminine Power 7-Week Essential Course for the Awakening Woman, you will receive a $500 Tuition credit, as well as complete the prerequisite to join the leading Feminine Power trainings for coaches, change agents, leaders, trainers, workshop facilitators and awakening women who want to step into greater levels of impact, influence, prosperity & success—and be personally mentored by Feminine Power founder Claire Zammit. Most great coaches and workshop leaders are hard-working, dedicated professionals who deeply care about their clients and are committed to doing their very best to inspire and facilitate change. Yet, something historic and unprecedented is happening for millions of women that most training has not prepared these leaders to be able to respond to in ways that can support their women clients to respond to the opportunity that’s emerging for their lives. Now, for the first time ever, coaches and all those serving women will be offered the latest cutting-edge techniques on transformational coaching, facilitation and learning especially for women. You’ll be mentored by Claire, who has spent the past two decades mentoring hundreds of thousands of women and researching their breakthroughs through her doctoral research in Transformative Learning and Change. Just to summarize, the total value of all of the elements of the Digital Course plus the Bonuses is over $9,391. Get over 90% off our most popular Feminine Power programs as part of this exclusive offer. *As of Midnight Pacific Time on Tuesday, December 27th these exclusive bonus offers will no longer be available and the price of our program will be increasing soon. 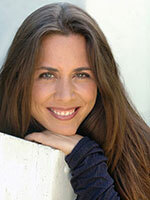 Claire Zammit Ph.D.(c), is an expert transformational teacher, leader, mentor and successful conscious entrepreneur. Her mission is to empower women to fully express their gifts and talents by sharing the Feminine Power teachings that she created that she credits as the source of her own fulfillment, success and impact. If you have any additional questions, please email us at support@femininepower.com and we’ll be glad to assist you. I consent to Feminine Power collecting my details through this form.